With the Court of Appeal ruling by majority that the December 21st, 2018 vote on the no-confidence motion against the government was not valid, almost all parties have committed to moving to the Caribbean Court of Justice (CCJ), Guyana’s final appellate court, to definitively settle its legality. 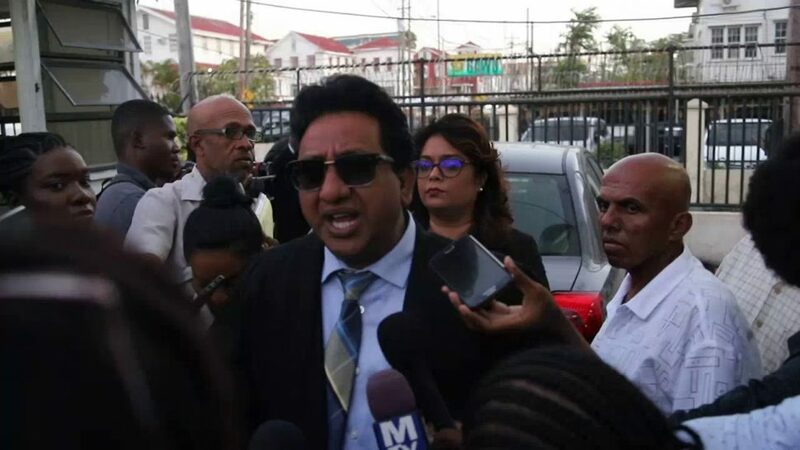 “I think it was always an accepted fact by all sides that the case will go to CCJ,” former Attorney General Anil Nandlall told reporters last evening after the Appeal Court, by a majority of two to one, found that an “absolute majority” of 34 votes was needed for the passage of the motion. Nandlall said the effect of the decision is that that no-confidence motion has been deemed to have not been validly passed and, therefore, the government remains legitimate. The motion had been declared carried by 33 to 32 votes in the 65-member National Assembly, triggering a call by the opposition for new elections in keeping with the constitution. Government, which had argued that the motion required an “absolute majority” of 34 votes, subsequently lost its initial challenge to the validity of the vote in the High Court, where the acting Chief Justice Roxane George-Wiltshire upheld the passage of the motion. Government subsequently moved to the Appeal Court. Immediately following the Court’s ruling, Attorney General Basil Williams yesterday told reporters that the government was satisfied that the proper principle was applied to computation of the vote. “We always believed that computation was accurate. All we had to do was find the road to satisfy the court and we did that. When looking at our constitution, the absolute majority is stronger than the simple majority, so it couldn’t be the same number,” Williams noted. Asked whether government will appeal any of the rulings which did not go in its favour, Williams said not necessarily. “If there is an appeal, we will look to see if we have to prosecute,” he said. He drew attention to the fact that the court repeatedly mentioned that all the attorneys “accepted that Article 106 required an absolute majority” and stressed that he as counsel for the leader of the opposition never accepted such an argument. The framers of Guyana’s constitution he stressed “did not use the term absolute and did so deliberately” and, therefore, he could not agree with the formula that “all present and voting” as stated in Article 106 constitutes an absolute majority. “If they wanted to use the term absolute they would have said absolute,” he stressed before adding that 33 has always constituted a majority in the National Assembly. “We always believed that was majority and that belief supported by reality has been turned upside down, so whilst we have won on all the issues of law, we lost on Maths. I never thought this was a case of Maths, I thought this was a case of law,” Nandlall said. He added that since it is “a singular issue” which needs to be determined by the CCJ, it can be heard in a matter of days. “Just one single issue. It is the only ground on which we will appeal,” he said. Kamal Ramkarran, who appeared on behalf of respondent Christopher Ram, upon whose application the Chief Justice had found that the Cabinet stood resigned upon the passage of the motion, has also indicated that he will be taking the matter to the CCJ. “This is not the final. We will be taking it elsewhere,” he told Stabroek News following the ruling. Ram had applied to the court to have it uphold passage of the no-confidence motion and to declare that the President and his Cabinet should immediately resign as a result. While it was decided that the Cabinet, including the President, is considered as having resigned with the passage of a no-confidence vote, the vote itself was not upheld.